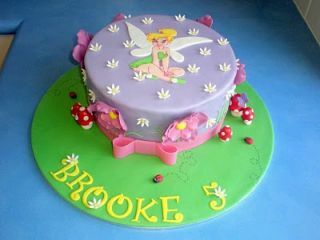 A favorite theme for all little girls is Tinkerbell, this sweet fairy is actually an excellent theme for decorating children's parties of the conceited of the house, no matter how old they are because in reality Tinkerbell goes well with all girls. 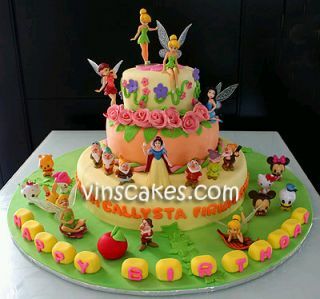 If you decide to use this character as the main theme birthday party for your little, we present a number of cakes that can help you, remember that the cake is one of the protagonists of the celebration, so choose carefully the better . To choose the right one take into account the size, which is related to your number of guests, the colors of the cake, which must be in harmony with the decoration and if the character will go alone or with friends. 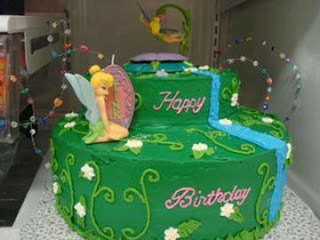 In this first Tinkerbell cake, you got it as only one character, ie your decor should also be made exclusively with this character. 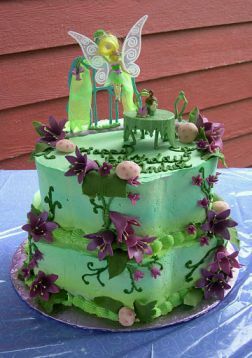 Another idea that includes a waterfall and flower where the fairy lives. 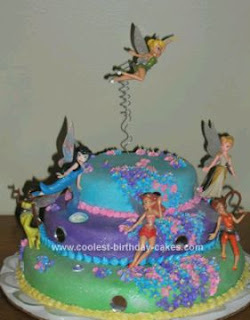 A model which has Tinkerbell with her other fairy friends, however care must be taken to note the role of Tinkerbell. 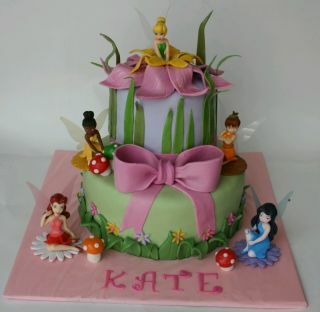 A tender model that presents Tinkerbell and the flower in which she lives. 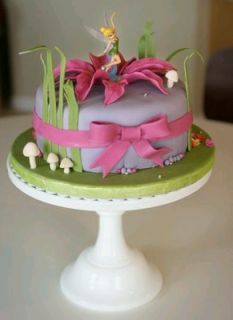 A beautiful and tender cake with all the magical fairy garden, it is notable that what gives a special touch to this cake, is the pink ribbon. This cake not only has Tinkerbell also are another characters, but if you prefer to replace them with those related to her. Cake made in pastel colors, and whose only character is the sweet Tinkerbell. 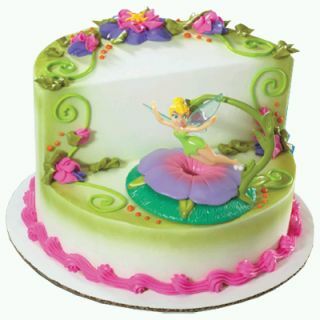 Elegant model characterized by the flowers that decorate the entire cake, remember that if you like this model, but prefer more color, you can choose the colors of your choice and apply to this model. 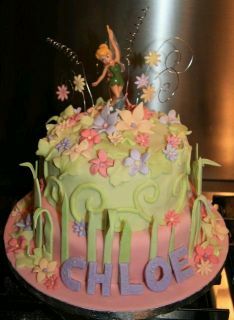 This is a clear example of how many times simplicity is beauty, it is a delicate cake with a pink ribbon and Tinkerbell at the top. 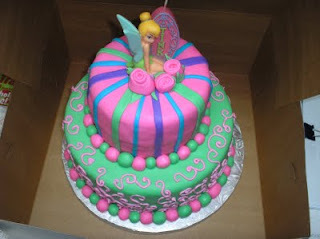 Finally for those who prefer flat decorations this is a very good choice, to break the plane of the cake the other details are in high relief.